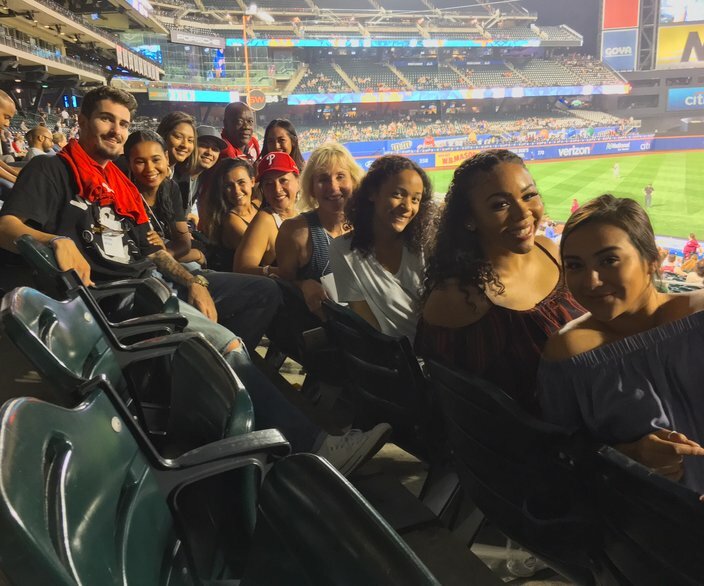 J.P. Crawford's family – older sister, Eliza, younger sister, Julia, mother, Beth, and father, Larry – led his healthy cheering section at Citi Field on Tuesday night, when he made his major league debut for the Phillies. NEW YORK – Just like the day she took a break from talking to the man working on the family pool to listen to IronPigs play-by-play voice Matt Provence call her son’s improbable inside-the-park grand slam earlier this summer, Beth Crawford was tuned into the Phillies Triple-A affiliate from her home in Lakewood, Calif., on Labor Day. Put me in coach, I'm ready to play – Freddy Galvis, in center field? The Monday holiday matinee began about as well as she could have hoped. Her son, J.P. Crawford, hit a two-run home run in the first inning. But as the game continued, and the Lehigh Valley IronPigs looked on their way to a sixth straight win, the day was filled with uncertainty. A victory would clinch a postseason berth, while a loss would end the IronPigs’ season. There had been a lot of speculation that Crawford would join the Phillies when rosters expanded this month, but would the Phillies pluck him from their playoff-bound ‘Pigs roster? Beth and Larry Crawford would find out around 3 p.m. PST, about the same time many folks in the Delaware Valley were firing up their last hamburgers and hot dogs for the holiday weekend. The phone rang. The Crawford’s middle child and only son was officially a major leaguer. Crawford made his big league debut at Citi Field against the New York Mets on Tuesday night. He was able to knock in a run in his first big league at-bat (no RBI, he reached on an error) and slid safely into home later in the inning for his first major league run. In the fifth inning, Crawford flared a single into center off Mets left-hander Josh Smoker for his first major league hit. He turned an inning-ending double play in the eighth inning and made two sparkling plays in the ninth, too, from third base, one of the three positions he’ll see time at in the next three-plus weeks. And Crawford did all of that with Beth and Larry Crawford, their daughters Eliza and Julia, and about 15 other friends and family in Section 121 of the Mets’ nine-year-old ballpark in Flushing, N.Y.
On a September night in a game featuring two non-contending National League East foes, seats weren’t difficult to come by at Citi Field. Still, it was impressive that one section was dominated by more than a half dozen people who made last-minute, cross country flights, and friends who drove overnight from Greensboro, N.C., and Cincinnati to get to New York in time for J.P. Crawford’s first major league game. J.P. Crawford left 17 tickets for friends and family who came from California, North Carolina, and Ohio on last-minute trips to New York for his major league debut. Like many minor league-turned-major league families, the Crawfords (and their more than a dozen friends) frantically made last-minute arrangements to get to their son’s debut. All it took was some quick clicking through an airline website and an acceptance that they might not sleep for the next 24 hours or so. A few hours later the Crawfords were at Long Beach Airport and ready to board their cross-country flights. Red-eye cross country flights. Eliza Crawford was hoping to find somewhere comfortable to crash on Tuesday night. “I’m staying with J.P. tonight – I haven’t seen their hotel yet,” she told a friend in Section 121. “You want to stay with J.P.,” the friend replied. “That’s what I heard,” Eliza said with a laugh. 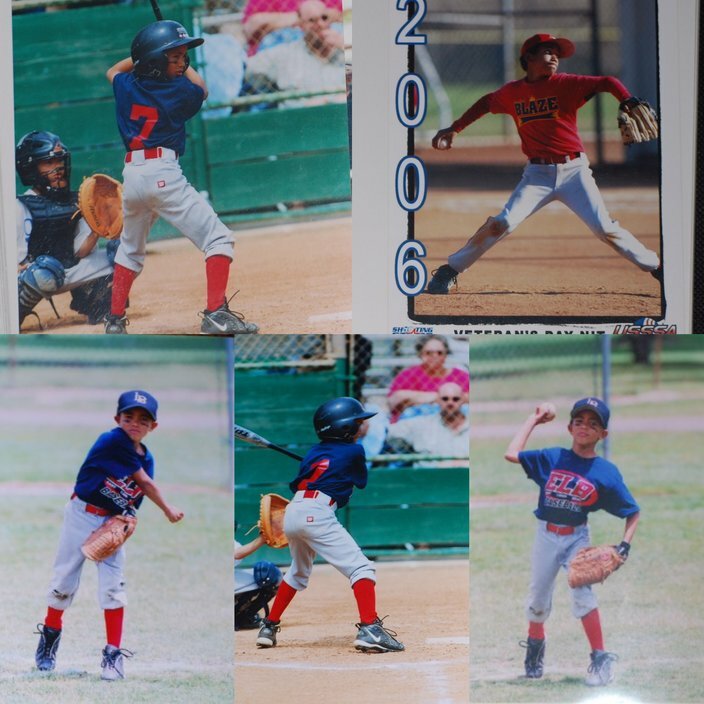 J.P. Crawford has been a budding baseball prospect since his days in MLB's RBI program in Southern California as a grade schooler. Even if the hotel was a few gold star ratings away from the Ritz, the trip was well worth it for the close-knit Crawford clan, a family bound by sports. Larry played pro football, Beth could have played basketball and volleyball in college, Eliza played college softball at Cal State Fullerton and works in the softball division of MLB’s R.B.I. program, and mom and dad have to be back in Southern California before the weekend for Julia’s important volleyball tournament with Lakewood High School. And then there’s J.P., who drove his mom to her radiation treatments back during his senior year at Lakewood (she’s healthy now, thankfully) as he prepped for the 2013 MLB Draft and who has been on the receiving end of many heartfelt conversations this summer, when baseball finally didn’t come as easy as it had for him in the first 15 or so years he’s played the game. The fact that Crawford was on a big league field on Tuesday night was somewhat hard to believe given that he entered June in Lehigh Valley hitting .205 with seven extra-base hits and was slashing .228/.291/.296 with 20 extra-base hits in 407 at-bats from May 20, 2016 to May 19, 2017. But then, like his dad said, the hits came. Crawford hit .282 with a .902 OPS and 34 extra-base hits (including 13 home runs) over 273 at-bats in his final 72 games with the IronPigs. “I’m proud how he got through it,” Beth Crawford said. 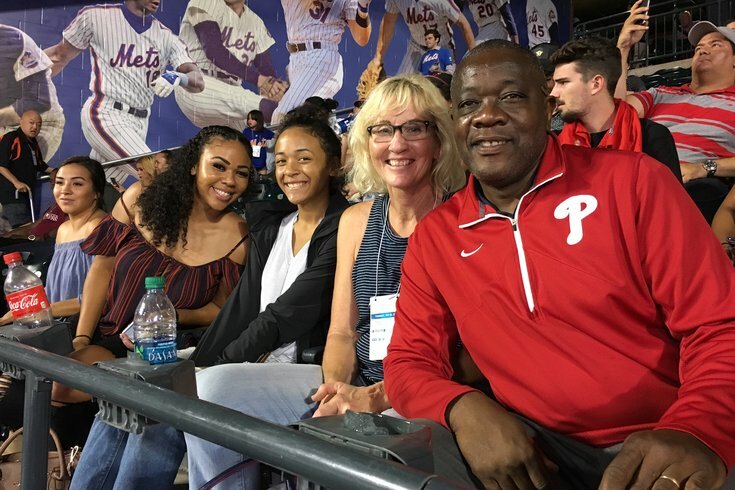 And it surely helped the rookie infielder to have the support system in his family throughout his journey from can’t-miss, top Phillies prospect in four-plus years through the minor leagues. The same people populated his own personal cheering section on Tuesday night at Citi Field. When Crawford’s name was announced over the P.A. system in the second inning, they rose to their feet in unison and cheered. And then they followed his every step from the batter’s box to first base, and roared again, when he hit a ball to the right side of the infield that would turn into an error. Crawford had reached safely on a play that tied the game 1-1. It was the first of nine unanswered runs for the Phillies.